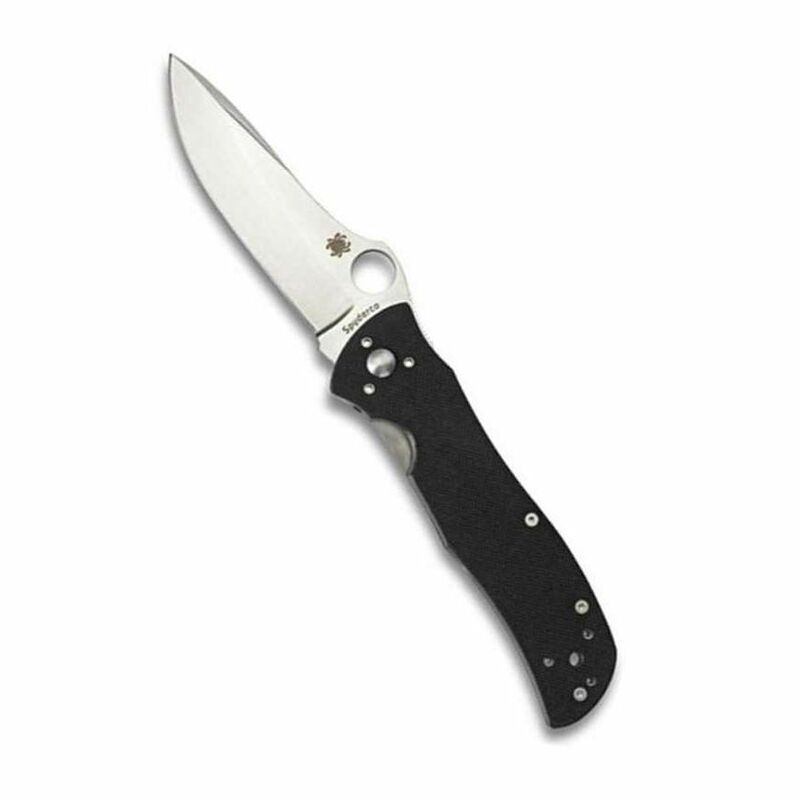 The Starmate remained in the Spyderco line for several years before being discontinued. Its popularity with dedicated end users and collectors never waned, however, and by popular demand a new version of the design was introduced in 2012. The latest version of the Starmate faithfully remains all the features of Terzuola's original design, but differs from the first production of the knife in several ways. Manufactured in Japan, it features a saber-ground blade made from VG-10 stainless steel. Like the original version, its handle is constructed with stainless steel liners and textured G-10 scales, however, unlike the nested liners of the first generation, this Starmate features full skeletonized liners for a balance of lightweight and superior strength. One of the distinguishing characteristics of a Bob Terzuola design is his improved Walker LinerLock mechanism, which features a concave ramp on the blade's lock face. This lock geometry, pioneered by Terzuola in his custom knives, provides greater strength and security than conventional flat lock ramps and is proudly featured in the Starmate. To ensure convenient, versatile carry, the Starmate also features a four-position clip with a broad triangular base for security and extreme strength. The clip can be easily configured for tip-up or tip-down carry on either side of the body, allowing you to tune your carry to meet your personal needs and preferences. The Starmate is a reflection of our rich collaborative history with one of knifemaking's most talented and innovative craftsman.